When paying for auto paint, you want to know that your vehicle is in an auto paint shop that will do the highest quality job for you. Lakewood Auto Body in University Place, WA has been performing quality auto painting jobs since 1962. Our auto paint shop has state-of-the-art technology and equipment to complete the job to the highest workmanship standards. We will professionally perform car painting on your University Place vehicle, and back our work with a lifetime warranty. Everyone at our auto paint shop takes pride in their job and looks forward to putting a smile on your face. After your car's collision damage has been repaired, it is time to make your car look brand new again with car painting services in University Place. 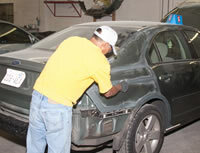 Car painting in University Place is a complex step in the collision repair process. There are literally thousands of auto paint colors to choose from, and only professional technicians and equipment can find an exact match. Custom auto painting is both a science and an art. Auto painting technology is constantly evolving, and because of that, our auto paint shop constantly upgrades our painting system for University Place vehicles. We want to make certain that we utilize all cutting-edge technology to ensure that each vehicle receives a professional, showroom floor level finish. 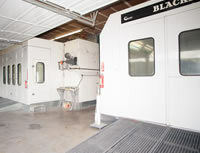 Lakewood Auto Body is the leading auto paint shop in the University Place area. For any questions or appointments, call 253.581.0220.